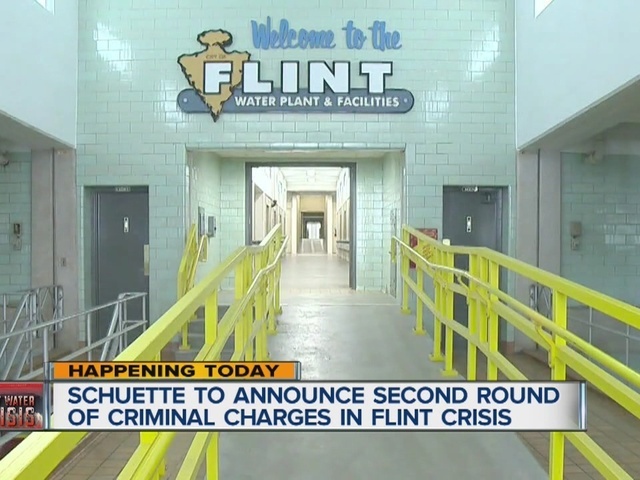 Six current and former state employees are facing criminal charges in connection with the Flint water crisis. Attorney General Bill Schuette outlined the charges in a news conference this morning. We've learned the defendants worked or did work for the Michigan Department of Environmental Quality and the Michigan Department of Health and Human Services. The six are facing several felonies and misdemeanors including misconduct, conspiracy to commit misconduct and willful neglect of duty charges. 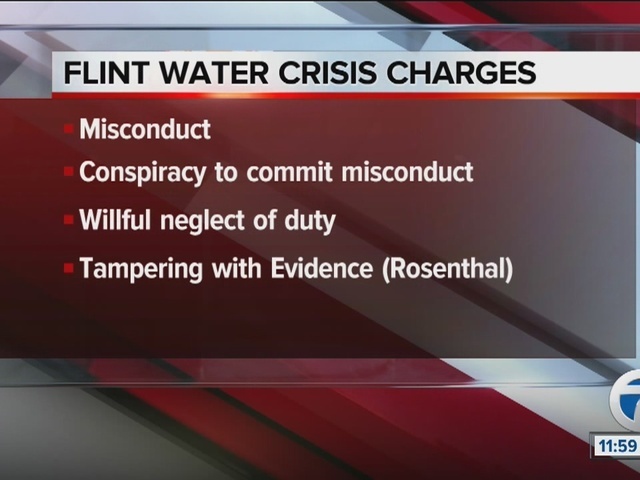 This is the second round of charges filed in relation to Flint. Now, there are nine current and former state officials facing charges. “The families of Flint will not be forgotten. We will provide the justice they deserve. And in Michigan, the justice system is not rigged. There is one system of justice.The laws apply to everyone, equally, no matter who you are. Period," said Schuette in a news release. Schuette says his investigation into the crisis is ongoing. Based upon the filing of the charges, the DEQ and MDHHS will each be suspending two current employees without pay until further review of the charges can be conducted. Two additional state employees charged are no longer with DEQ or MDHHS. DEQ and MDHHS will continue to monitor the legal proceedings and evaluate next steps as appropriate.